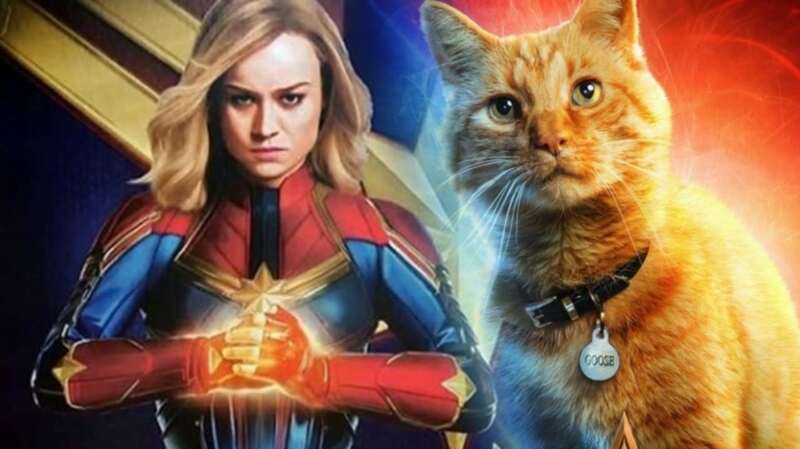 People who have already seen Captain Marvel reveal that Goose, the cat we saw in the trailer is a wonderful addition to the MCU. But why is that? She just looks like a normal cat after all. However, Captain Marvel fans know that there’s a lot more than it meets the eye. So, today we have brought together 4 theories as to what she could be (and three facts about Captain Marvel’s cat). Captain Marvel will certainly see a lot Skrulls and Goose will be no exception. After all , Skrulls can change into any living being. This basically makes everyone a suspect. From the likes of Nick Fury to even Captain Marvel herself is suspect to Skrull fan theories at the moment. However, we feel that Goose isn’t one of the shape-shifting Skrulls. Now you may wonder, what is a Flerken? Besides being oddly named, a flerken is an alien that looks a lot like a cat. Captain Marvel picks up on an adventure through space and keeps the creature as a pet. That’s right, Goose isn’t really a cat after all. He’s something weirder. For now, we know that Goose isn’t the ginger cat she looks like. There’s a theory that Captain Marvel and Goose are outside the space-time continuum of the MCU. This explains why Nick Fury didn’t call Captain Marvel earlier in Avengers films. Carol may be trapped in a different realm, and getting her out could place both realities in danger. This is certainly a possibility, but with films like Ant-Man and Doctor Strange creating alternate universes, you never know. Flerkens are pretty strange creatures, to be honest. According to official Marvel page, the Flerken lay hundreds of eggs at a time. Yes, hundreds of eggs from these small creatures. Well, you may expect Goose to be adorable in Captain Marvel, but if you see any kittens, turn your head away. We all know Nick Fury for his iconic eye-patch look, but we don’t know how he lost his eye. We know he got it because he “trusted someone”, but nothing else exists about it. We might find the answer in Goose’s actions in Captain Marvel. If Goose turns out to be a villain, or just defend Carol, we could totally see him bashing Nick’s eye. And thanks to the trailer, we know that Fury trusts Goose. Flerkens hold within them the space for at least hundred eggs, but they also hold a jungle of teeth and tentacles. But this doesn’t stop here. Inside each Flerken, there’s a gateway to another dimension, almost like a TARDIS. Could Goose be the greatest weapon of the MCU? Several fan theories revealbthat the alternate dimension inside Goose will be the key to stop Thanos. It could be that the dimension inside Goose is the Quantum realm itself. Or perhaps that’s where Carol is during the course of MCU.